With a rugged aluminum, waterproof and cold resistant housing, the HL55 features a compact design and high intensity performance that is a match for any backcountry and cave exploration need. These outdoor LED headlamps have four brightness levels plus 900 lumen burst mode with a maximum of 150 hours of runtime from one 18650 battery or two CR123A batteries. SUPERIOR QUALITY! i LIVE IN ALASKA! GEAR CANNOT FAIL! USE FOR MOOSE HUNTING! MAKES CUTTING UP A MOOSE IN THE DARK A BREEZE! NOT TO MENTION KEEPING AN EYE OUT FOR GRIZZ!! Love this headlamp, very durable (i’m a diesel mechanic, so i need something durable). It’s compact too, would definitely recommend it to anyone! AWESOME light !!! Bighter and smaller then most others . Easy to change angle of the light and flip thru the brightness settings . Bought two, drastically different color temp between the two units. Light works well and is bright. Little heavy on the front of your head and could use a bit more forehead padding but overall very nice and I’d buy it again. Lights up the total room. Best headlamp I’ve ever had. Very nice, does everything I need it to do. I own and operate a tank wash business. I spent a lot of money on headlamps and batteries. A friend told me about Fenix lighting and WOW. I purchased 1 light to try. As of now, I have purchased 6 headlamps, 1 RC40, and a PD35. A friend saw my pd35 and asked about it. I promised to get him one. To sum it up, very impressed. Use this light for a variety of applications. Top quality construction and the rechargeable batteries perform well under any conditions. Recently used when installing electrical conduit and pulling wires for extended service requirements in a crawl space. Multiple light settings let me adapt to changing light conditions. The quality elastic strap held the lamp in place and I did not have to worry about it falling off. These are by far the best headlamps I’ve ever owned. I use them daily for work purposes I’ve owned all brands of headlamps usually in the $25 to $60 I got real tired of breaking them and replacing them almost monthly. When I came across these headlamps a year-and-a-half ago I figured I’ll give them a try, I do not have any regrets whatsoever. I have put these headlamps through everything possible. You name it one of them was dropped off a two-story roof onto the concrete below, I’ve dropped them ditches full of mud and water. Literally I have put them through the wringer and they keep on ticking. Fenix makes a great product and now have a life customer and referral. Thanks Fenix for not making more junk there’s plenty of that out there already. I went to recover a 1998 M109A4 in winter that was in a completely dark barn with frozen batteries and 10 degrees outside. Used this light the entire day. Went to FL to recover a 31 cutter, and had to work in the engine space with heat index of 106F outside…who know what it was in the boat…pouring sweat. Light keeps on throwing a great beam…and easy to recharge. Much better deal the SureFire minimus. Arrived just in time to be put through its paces on a long hard trip down a very squeezy, wet, muddy, rocky rift cave underneath the Wiltshire countryside in the UK. Very pleased with it indeed. Solid and well constructed but very light on the helmet. Easy to operate wearing gloves. Very VERY bright, and a well-designed beam spread. Did I already say how bright it is? Both protected and unprotected versions of the 18650 cell fit fine. Best thing is how flat to the helmet it sits – much reduced chance of smacking it into things. Cave goo doesn’t seem to worry it either – I just washed it off in the river. I am an ultra runner and on top of that I am slow. So I end up at the back of the pack and usually finishing races in the night. 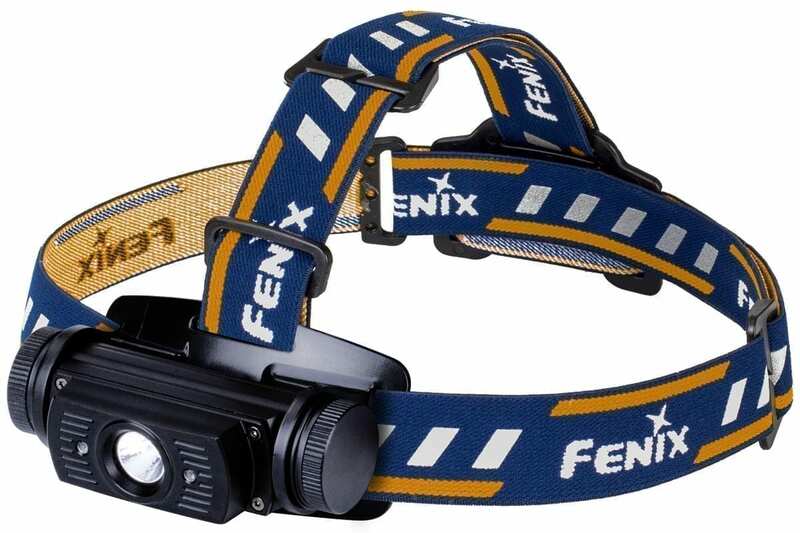 I tried other headlamps and a friend recommended Fenix. I purchased an HL55 and even though I finish in the night my HL55 gets me through the dark as if it were day. Awesome product , sturdy construction, brighter than you could ever need on a trail. Thank you Fenix! I use this headlamp for hiking, camping, canoeing and security work. I rely on ease of use and dependability. This light has both. Well made. The light is light enough for me to wear without the top strap and still be able to run when necessary. Because I am so active, I tend to be hard on my gear; this is not a problem for my HL55. The burst mode is a nice feature and has come in handy. Three of us in our running group purchased this light for our Winter night runs. Everyone was very satisfied and others ran beside us because they could see so much better. It was wonderful and I hope it lasts. 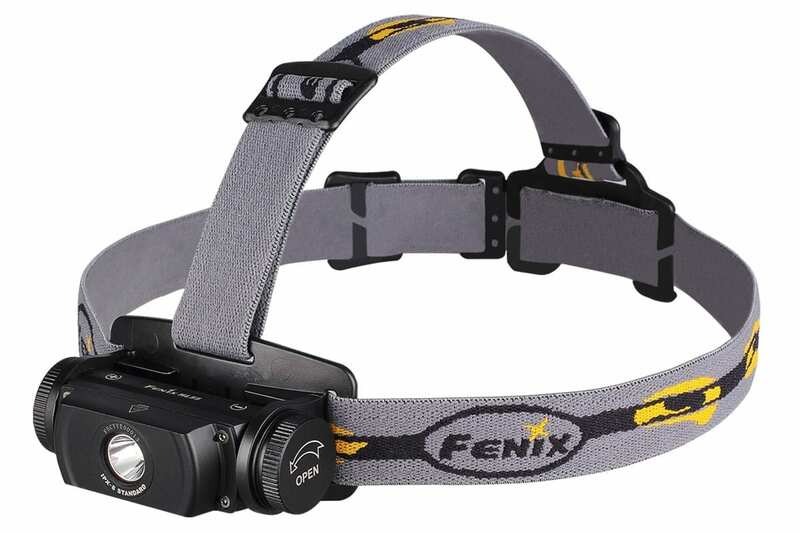 I am a big Fenix fan, I own several products and this headlamp is my favorite of them all! I also have the HL60 with the built in USB port and I prefer the HL55. I like the burst mode function of the HL55 vs having to cycle through the modes on the HL60 to get to the high output setting. In addition, I sometimes get stuck on the strobe function of the HL60, not on the HL55. Both lights are awesome, the HL60 can be charged with the battery intact, not the HL55. Further, the HL60 has the two low lumen red LED’s, nice, but not a lot of output. To each their own, both lights are as good as it gets. Very tough, my highest rating for any headlamp. I know, I have practically owned them all. Out of all the headlamps out there, this is the first one I reach for. You cannot go wrong. I love showing it off to people with other brands, as I always know that the HL55/60 blows the other headlamps away and I have made every one of these people Fenix fans. Michael in Seattle. Also, it can be set down and the perfectly designed adjuster turns it into a seriously powerful, micro-worklight. It can be removed from the headband easily for this purpose, yet the light ca not possibly slip off the headband without intentionally removing it. Outstanding. Abso-fricken-lutely incredible. Engineering perfection. This is probably the best headlight in the world, especially for this reasonable price ($48 for new customers). It’s an extension of my body, my trusty companion, turning me into a night-defying workhorse and giving me a blinding, hands free self defense capability. It’s always in my rothco belt pouch or EDC pack, even in the day time. It doesn’t matter if it’s dark anymore with this light – you can go have fun or get ‘er done. It will embolden and inspire you to take a night run through the woods or hit the skatepark at night or go bomb a hill at 1am on your longboard. Pros: It always works. No flickering. Neutral light will show you true colors of whatever you’re working on. It’s waterproof, so can work in Oregon rain with no worries. It seems durable as a shovel, so I don’t have to worry about banging it around working under trucks. It’s easily cleaned. They send you a spare O ring, which I keep hot glued to the negative side cap, and it does not interfere with quick battery changes. The strap fits very comfortably and keeps it on my head. When snowboarding, it did jump around a little bit, as I don’t like it to constrict any bloodflow, so I keep it comfortably loose. It did once fly off of my head, but my Valken goggles strapped around the band kept it on, and I was able to seat it back on my head while still flying down the slope. I spent at least 20 hours combing the net, searching the whole world for a headlight to my specifications. This is the only one in the world. My specifications were very small, light, 1×18650, waterproof, shock proof, 3 band, adjustable, with a warranty spanning years. The only one that comes close is the coast headlight, but it only does 400 lumens, has a heavy rear battery pack, no turbo mode, yet it has a lifetime warranty. I chose the higher performance and badass looking small form factor of the HL-55. 5 years is good enough reassurance for a $60 light, although I’d pay more for a lifetime warranty. Cons: I’d prefer if it was programmed to return to high mode every time turbo mode times out. It returns to previous mode after turbo time out, so that means if you hold turbo from off, it will shut off, leaving you unexpectedly in the dark. My other issue is that it goes off for a half second once you activate turbo mode. I need more light when I hit turbo, not none! I’d also rather have a black headband, but that’s what rit dye is for. It would be nice to have some modular cooling fins that allow a longer turbo mode. These small quirks can be dealt with once you learn the light, and just deal with the half second of darkness once you hit turbo. I can’t wait to get a solar blanket/folding pad for this, for survival/preparedness (Hint hint Fenix, make one please!). I mounted a mini compass to the back headband plastic. Worth it’s weight in gold. Fenix, I am interested in receiving products to provide brutally honest, detail-oriented video reviews on my youtube channel. I would also like to see bulk discounts available if you order 5 lights (to sell to friends and family).